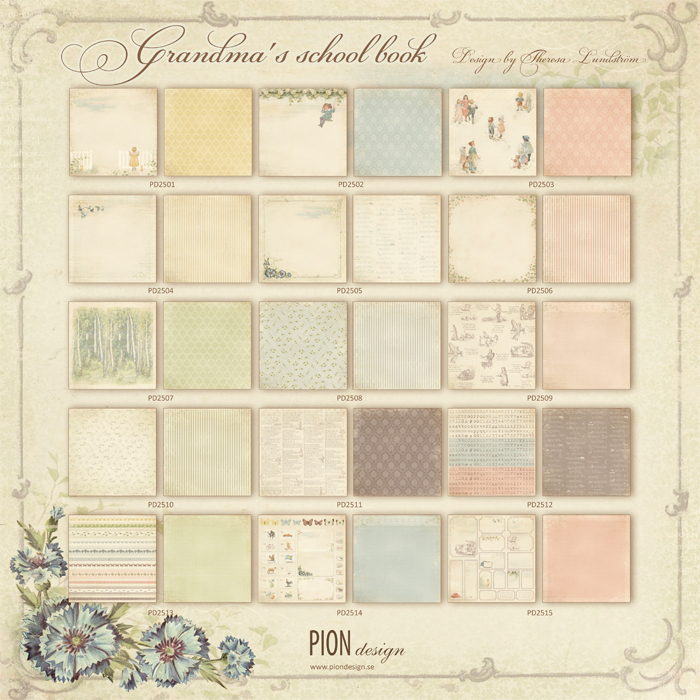 Grandma’s school book contains 15 double sided patterned papers and are available both in the sizes 12×12″ and 6×6″. The summer-like patterns consist of cornflowers, butterflies, letters and alphabets. Images of children playing and swinging to the sky make us long for those warm summer afternoons and endless evenings. 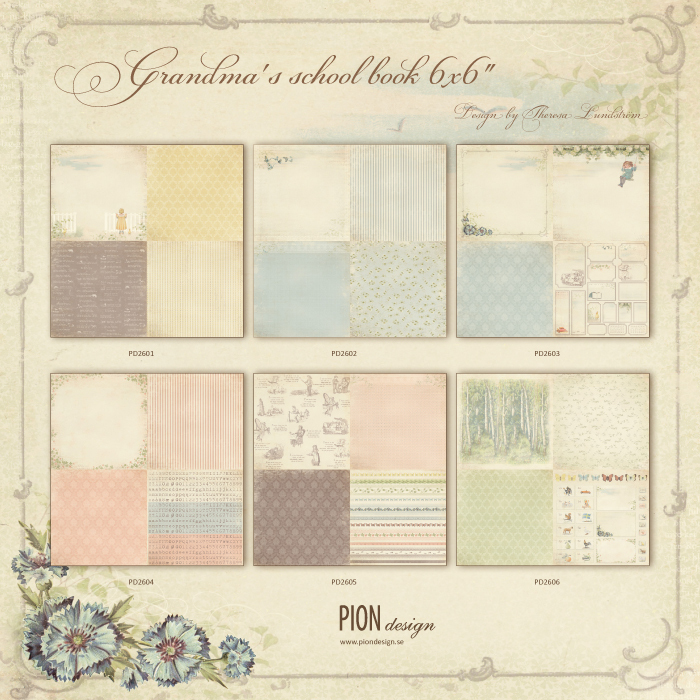 With the vintage and old fashion feeling that is characteristic for Pion Design, the aim of this collection is to inspire you to countless projects of a timeless design. Åh.. Lekkert!! Pion papirer er mine absolutte favoritter.